On the 7th of October 1849 Edgar Allan Poe died in Baltimore, America. He was one of the world’s most renowned crime and horror writers, credited also with inventing the detective and science fiction genres. Poe was the first Victorian writer who had an ambition to earn a living from writing. Judging by the final outcome of his life, he did manage to do so, yet, despite his exceptional talent, he died in poverty. His dark Gothic tales – to name a few: The Narrative of Arthur Gordon Pym of Nantucket , The Fall of the House of Usher , The Raven – played on the imagination of the early 19th century reader, often revealing complex and disturbing truths about the dealings of a human mind. 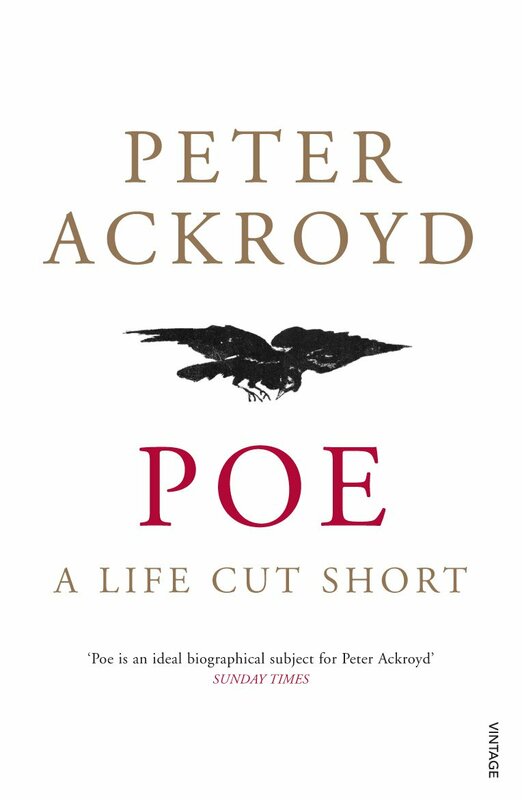 Most of Poe’s characters either die or descend to madness, which by looking at the course of Poe’s own life seems to bear a somehow ironic stigma of a self-fulfilling prophecy: “I became insane, with long intervals of horrible sanity”. There is this specific relationship between Poe’s writing and his own life, which seems to contradict Roland Barthes’ argument on the separateness of a creator from their work. 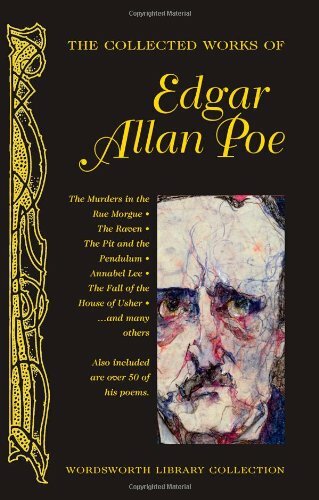 To certain extent only by learning about Poe’s turbulent life we understand his writing, and vice versa – his texts reflect the complexity of his psychological states, often dictated by a strand of tragic events throughout his life. 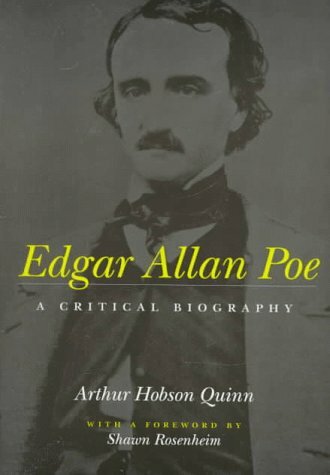 For instance, his obsession with the theme of death was most likely propelled by deaths of his biological mother, Elizabeth Arnold Hopkins Poe, his foster mother, Frances Allan, and his wife, Virginia Eliza Clemm (whom he married when she was only thirteen years old!). All of them died of consumption (tuberculosis); hence, the colour red attributed to death in some of Poe’s stories. Also, a significant influence on his adult life and the way he perceived and conducted his professional carrier, had the fact that both of his fathers, the biological one, William Henry Leonard Poe, and the foster one, John Allan, abandoned him at certain stages of his life. Some biographers claim that this was the cause of Poe’s devouring ambition and his constant willingness to prove himself as a successful writer. After his wife’s death, Poe became increasingly unstable. It must have left an unbearable void in his life for all of a sudden he engaged himself in an erratic quest for love and women. At some stage he even got engaged to his childhood sweetheart, Sarah Elmira Royster. Soon after that, in autumn 1849, Poe went missing. His tormented life ended, due to some unexplained prior circumstances, at the Washington Medical College in Baltimore. Four days before his death, the man had been found in one of the gutters of Baltimore, delirious and wearing clothes that were not his own. These words came allegedly from Rufus Wilmot Griswold, Poe’s rival in the literary world as well as in love quests. Perversely, before his death, Poe entrusted his literary estate to Griswold – a strange situation indeed. “It was as if Mozart had left his scores to Antonio Salieri” (Hobson Quinn, Edgar Allan Poe: A Critical Biography ). Griswold took advantage of the situation and used it to discredit and distort the image of the writer. In his own memoir, Griswold fabricated Poe’s letters to present himself in a more favourable light as Poe’s beneficiary. On the other hand, Poe was depicted as “a drunken, amoral, death-obsessed wretch” (Quinn). This radical and partially confabulated testimony has made it difficult to rehabilitate Poe’s image ever since. Numerous apocryphal biographies on Edgar Allan Poe’s life either idolize his genius or demonize his behaviour, yet the mystery of his death remains unanswered. This is going to take some time to wade through but wow! Great post about one of my favorite authors. Thanks a lot, Victo Dolore! This is a great article. I have always been fascinated by the mystery surrounding Poe. It’s one of those things that will probably never be truly understood. I think he is one of the greatest examples of the artist being an intrinsic element of his work. Check out his William Wilson short story; a doppelganger story! I know very little about Poe. Now I want to know more. Sounds like A Life Cut Short is a bit of a heavy read but interesting. Not true! That’s the Romantic view of the ‘tortured artist.’ Haydn and Mozart for example lived without too much stress. I’m sure there are writers too who lived ordinary lives. Can you think of any well balanced novelists or poets? A sad passing for a truly gifted artist. However I am not surprised as I find that many truly gifted artists seem to teeter on the edge of madness, perhaps because they see and experience the world in abstract forms. Or perhaps because their perspective of the world causes them to feel separate and alone. This was a great post to read, Carol, and you have convinced me to read more about this writer. I will look for Poe’s biography at the library! Thanks for visiting and following my blog…I thoroughly enjoy reading yours! Edgar A. Poe’s father was David Poe. William Henry Leonard Poe was Edgar’s older brother by two years who may also have died of tuberculosis. It has never been substantiated that Poe was found in the gutter. The most likely cause of his death was from exposure to the elements after being turned out onto the streets–after being “cooped”, a practice whereby men were literally kidnapped off of the streets and held against their will, beaten, forced to drink laudanum-laced alcohol, and made to exchange their clothing with others in the coop (usually, a cellar or den–possibly the back of an engine house) disguising their appearance for the sake of becoming repeat voters. Poe was found near a public house, or tavern, which was used as a polling place during the election of October 3rd, 1849. Why he was in Baltimore, or at that particular location, has never been established. Poe had planned to edit a book of poems in Philadelphia for a client, then travel on to New York by rail to pick up his aunt for his upcoming wedding in Richmond, VA. Leaving Richmond by steamboat on the 27th of September, somehow, he was routed to Baltimore on September 28th, 1849, possibly due to illness (which was noted by his fiancée prior to his leaving Richmond), or even bad weather which might have prohibited his initial route. As for being turned back toward Baltimore, he had some family still there and a doctor friend and literary colleague named Snodgrass who lived not far from the polling place. He may have been on his way to family and friends, thinking they might help him, with thoughts of informing them of his wedding, and possibly garnering subscriptions for his proposed literary journal in the vicinity of the polling place–once he felt better. Some accounts say that he may have been traveling with a sum of money made from lectures in Richmond and, since this money was not on his person at the time he was found, it may indicate that he was robbed. Oh my! Will it never end? Poe being found in a gutter(s)!! No proof of that! None whatsoever! By including that statement in his piece Ackroyd joins the ranks of people like Griswold. Too harsh? Nope! Griswold would be proud of his book.